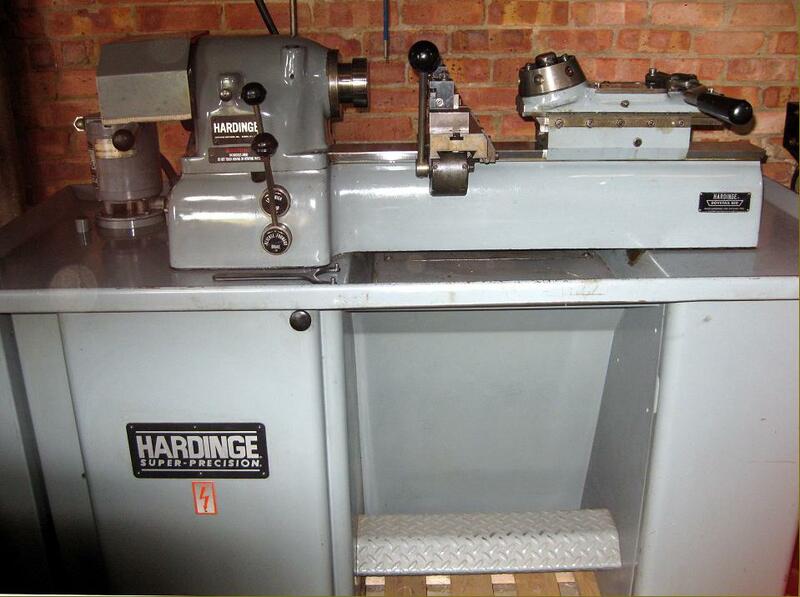 Hardinge DV-59 high-precision plain-turning lathe. This was the basic machine of the range shown on this page (all used the same, bed headstock and type of drive system) and could be equipped with a variety of accessories for specific tasks. One of the most popular conversions was as a second-operation or capstan production version, such as the DSM-59 shown immediately below. In some catalogs lathe the description "Five-Nine Super-Precision Model Shop Lathe" was used. Maximum length for threading: 1.75"
12 - 64 pitch threads from leadscrew and follower.